Adam Engel has earned himself a bit of a reputation as a Yankee-killer this season, thanks to a tendency for the otherwise unspectacular White Sox centerfielder to make terrific grabs against the Bronx Bombers. 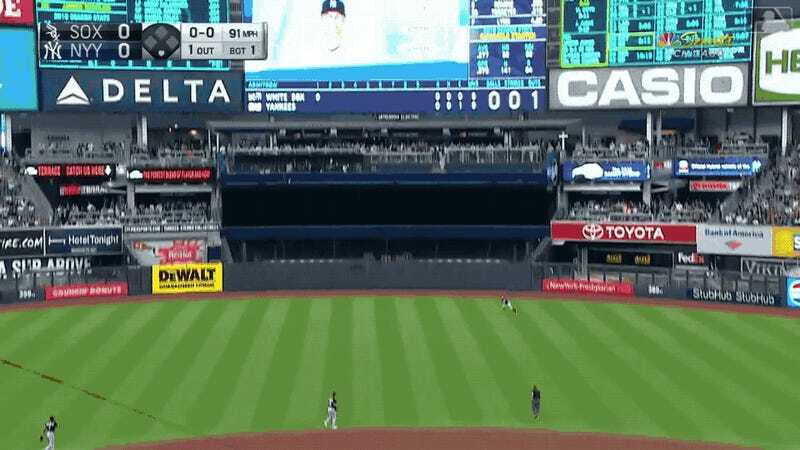 Tonight, Yankee Stadium thought they might take some revenge on the home team’s fielding nemesis, robbing him of his balance as he went to make a routine catch against Giancarlo Stanton in the first inning. But the daring and brave Engel would not be thwarted, persevering through the potentially catastrophic stumble to regain the use of his legs and make the out. 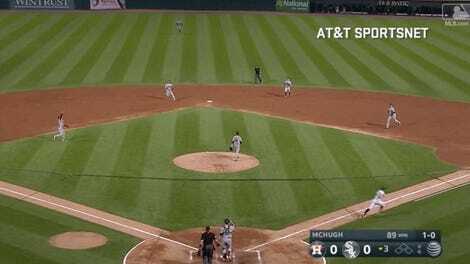 Grass all over the world shall tremble beneath the strength of the Chicago White Sox.